When Do You Step in to Stop Poor Countries Destroying The World’s Rain Forest? Brazil just opened 860,000 acres of the Amazon rain forest to pilfering by big corporations. It’s been happening for a long time, but the speed has dramatically increased in recent years. 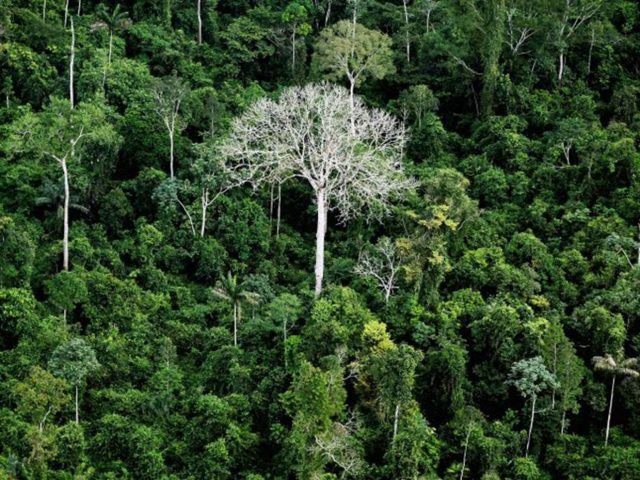 This will be unpopular, but the Amazon is not a national treasure that Brazil has the right to destroy. It’s not like we in the U.S. decided to destroy Mount Rushmore because we want the rock. There’s plenty of rock elsewhere in the world. Not so with the rain forest. It’s a finite resource, and it’s being pissed away because Brazil is poverty stricken. To me this is like a 6-year-old agreeing to burn the only cure for cancer (that he found in his backyard) for $10 so he can buy a Coca-cola and a family size bag of M&Ms. Yes, I’m aware of how horrible that sounds. I see both extremes. One is that you can’t just walk into a sovereign country and tell them how to treat their natural resources ever time you disagree with their policies. Especially not if you’re the U.S., which is basically the primary imperial power in the world today, and a country that uses (and wastes) massive amounts of natural resources itself. The other extreme is that you don’t want to sit and watch the cure for cancer (an apt analogy, as it turns out) disappear on the account of political correctness or political sensitivities. The Amazon is a literal source of hundreds of our medicines, and the more we lose of it the more new medical breakthroughs will be delayed or never discovered at all. That’s not a Brazil problem. That’s a humanity problem. So the question is, since we know you can’t just be the U.S. and tell them to stop, and we also can’t sit back and watch them destroy a global treasure because they are poor…when do we step in? I think it really needs to be the world, not just the U.S., or Europe, or whoever. It’s got to be a large group that represents the world. The U.N. or something. Maybe they need to buy it to preserve it. And maybe that technique should be used in other countries as well. The U.S. is killing off the only supply of something? The U.N. buys it and prohibits its destruction. And so on. All I know for sure is that both extremes are bad. Interdiction reeks of imperialism, especially if it comes from the U.S. or Europe. And non-action is impotence and cowardice at a criminal scale.